We’ll assume that you are already a member of LinkedIn because your ideal employer most definitely is and you want them to find you when they are looking to fill a new role. But how do you ensure they do that? Follow these tips on how to use your LinkedIn profile to get a new job and you’ll stand out to your new employer and their recruiters for all the right reasons. This is the first thing that will catch the eye of a prospective employer, so make sure it’s for the right reasons. Employers don’t want to see how adorable your children are, what a great night out you had with your friends, or how fantastic you look in that filtered selfie. They want to see someone they can envision working for their company, so make sure your photo looks professional, friendly and only features you in it. Sounds straight forward enough, right? Wrong. If you only state your job title, an employer won’t be able to pick you out from the hundreds of others who have the exact same occupation. By going that little bit further and adding a few words about your speciality in the field, or your industry passion, you’ll stand out from your competition. For example, you might be an SEO Manager, but what does your role offer a company? For example, why not add – ‘Putting your company in the #1 spot’ after the title? Let a company know what you can do for them and you’ll instantly be a more attractive find. *Be confident* – If you are in a position where you can be open about looking for a new job, say so in your job title. State what you are looking for in your job title and recruiters will be able to spot you from a mile off! Your summary is one of the most important and useful parts of your LinkedIn profile, but also the most under-used. This is the space you can use to tell a prospective employer about your career background, what you have achieved and, if possible, what you’d like to do next. Whatever you do, don’t skip it! Use this space to add personality to your profile. Don’t list tasks and responsibilities that you have fulfilled; instead write about results you have gained and achievements you have made. Write about what aspects of your career you enjoy and how you have progressed. Your LinkedIn profile should, as a whole, highlight your career success and potential. The hardest part about this should be keeping it within 300 words. *Make it easy for employers* – Invite prospective employers to get in touch with you. Whether it’s by email, LinkedIn Mail, telephone or social media, make it easy for them to get in touch if they like you. Your experience should show your current and previous employment positions, the key responsibilities you held within each role and any major achievements you made during your time there. When writing about the company you have worked for, wait for LinkedIn to load the company pages that exist under that name. Once you click on the correct one, the company logo will appear on your page helping it to look visually appealing and more credible. 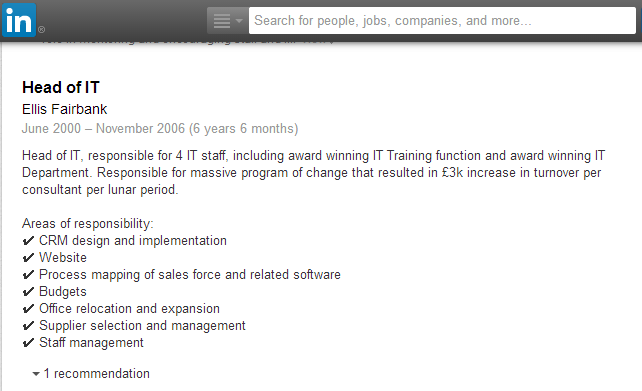 Begin with a brief paragraph on what your job role entails and then bullet point your achievements to keep it neat. Don’t forget to ask previous employers to recommend you – the option is directly available from LinkedIn if you click on the arrow next to ‘Edit Your Profile’. *Be relevant* – Don’t list previous employers unless they have added value to what you want to do now. For example, if you are trying to progress as a Business Analyst, it won’t help a prospective employer to know that you used to work at your local pub. Always think about what your ideal employer is looking for. LinkedIn members typically go wrong here by listing every academic achievement they have ever earned, including their Grade 2 in Flute from Primary School – trust me, I’ve seen it. Everyone should include qualifications achieved at University, or courses they have taken which are relevant to what they are doing now, but going beyond that depends on your current career level. If you are a recent graduate, including your A-Level subjects might be beneficial to an employer. However, if you are well established on your career path and have good work experience, you don’t need to go beyond your most recent and highest qualification. Customise your profile – Did you know you can change the layout of your profile by moving around all of the above sections? 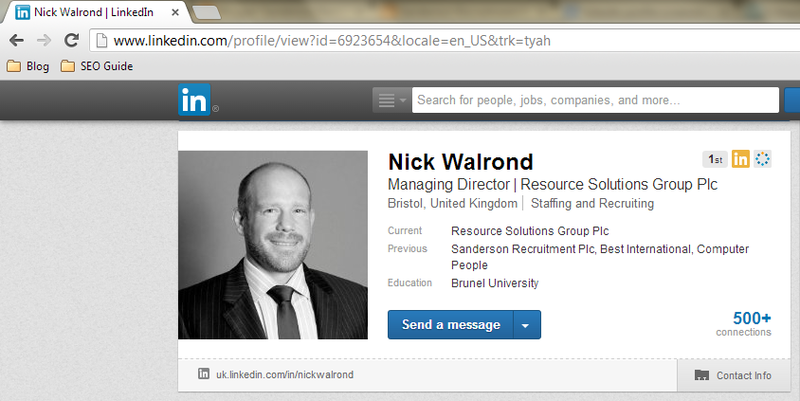 Simply click ‘Edit Profile’ at the top of your profile and look at the top of each section. You’ll see an arrow sign to the right that allows you to drag each section to a new place. Remember, you want to look your absolute best to a prospective employer. If you have some fantastic recommendations from previous employers, move them closer to the top for all to see. Have you been endorsed a lot for your skills and expertise? Show them off by moving them up. 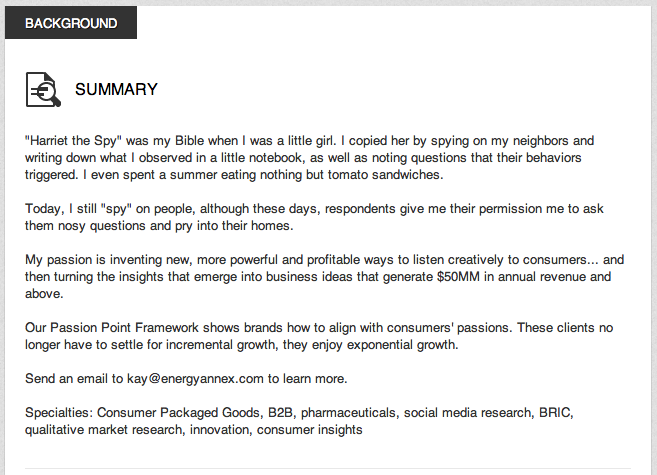 As a rule of thumb, keep your summary at the top and customise from there. 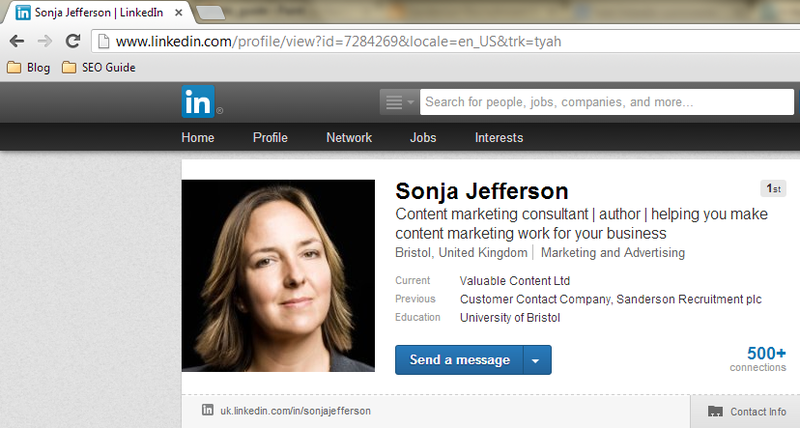 Use the hidden gems - There are sections available to a LinkedIn profile that very few people make the most of. These include a section to write about any charity and volunteering work you may have done, as well as a space to list honors and awards you have achieved. These are spaces you should use to differentiate yourself from the masses. You can add these sections while you are under the ‘Edit Your Profile’ tab. If these areas are really impressive, make sure you utilise the customisation tip above to bring them to the top of your profile.Join the dots – When the right job does come through to you, make sure that your CV matches up to the information you have shared on your LinkedIn. Once your profile is up to scratch, you don’t want to undo all your hard work by offering a below par CV. 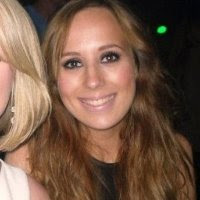 Cassie is a Senior eMarketing Executive for Resource Solutions Group. For more advice, find her on LinkedIn.